Although Cinco de Mayo is just over a month away, that gives you plenty of time to get ready for the festivities and join in on some fun! 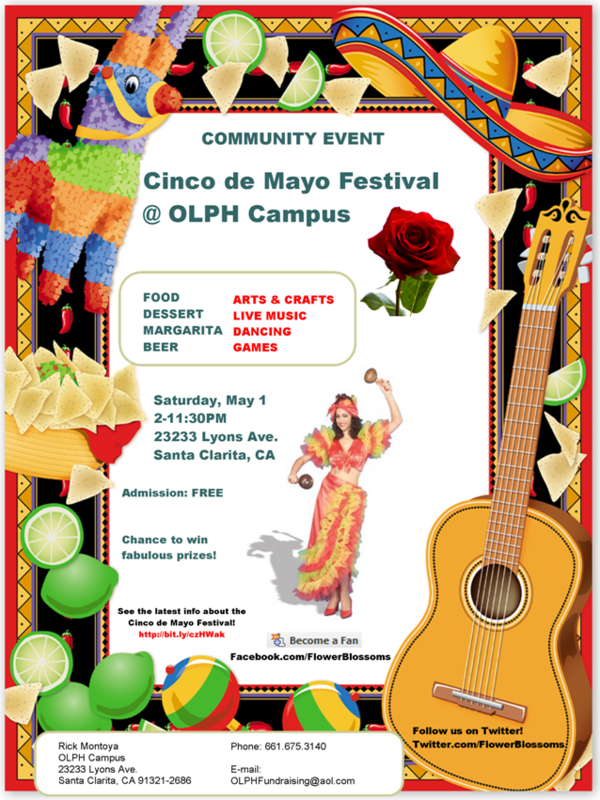 The Cinco de Mayo Festival, a community event, is taking place on Saturday evening, May 1, 2010, from 2-11:30PM, at the OLPH campus in Santa Clarita. Come to the festival for an evening of arts and crafts, live music, and dancing. No festival is complete without food and desserts and, for the older crowd, margaritas and beer. Call Rick Montoya at 661.675.3140 or follow us on Twitter (@FlowerBlossoms) for more details.